Over the weekend, we ventured to the Hampstead area of London, which is part of the borough of Camden. 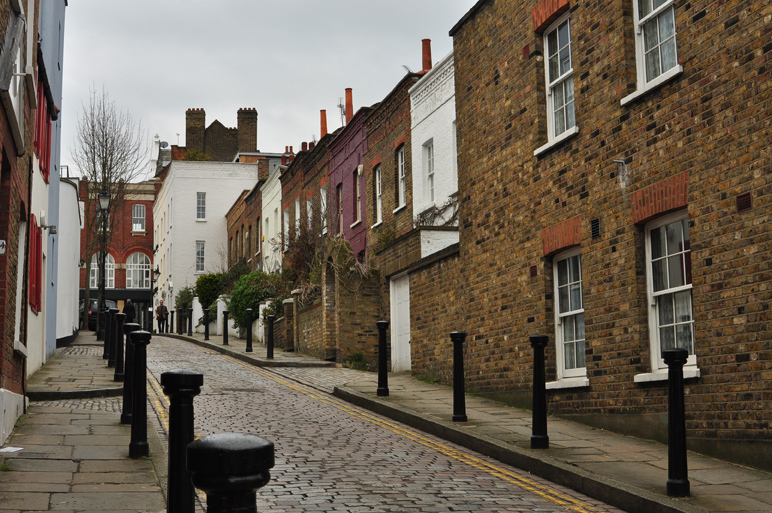 Hampstead boasts a charming, village-like atmosphere with narrow streets and specialty shops. It is an attractive residential area to live in and one of the most expensive areas to buy a home in. The town houses and mansion blocks are neat and tidy and perfectly manicured. Hampstead is also home to the grand, hilly, open space called Hampstead Heath, or simply, “the Heath”. In the 18th Century, Hampstead was known for its therapeutic spa water which was sold to Londoners and visitors alike. 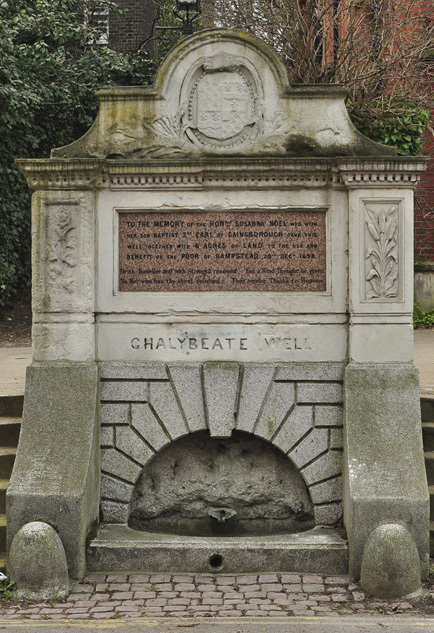 The fountain, pictured above, marks the site of the well that once provided this rich chalybeate water. We stopped for lunch at The Wells Tavern—a fantastic pub & restaurant. It is said that The Wells Tavern was once an inn that accommodated those who engaged in “forbidden acts”, however, the staff could not confirm if this was true or not (but what a good story, eh?). Nevertheless, it’s a lively space in an otherwise quiet neighborhood. 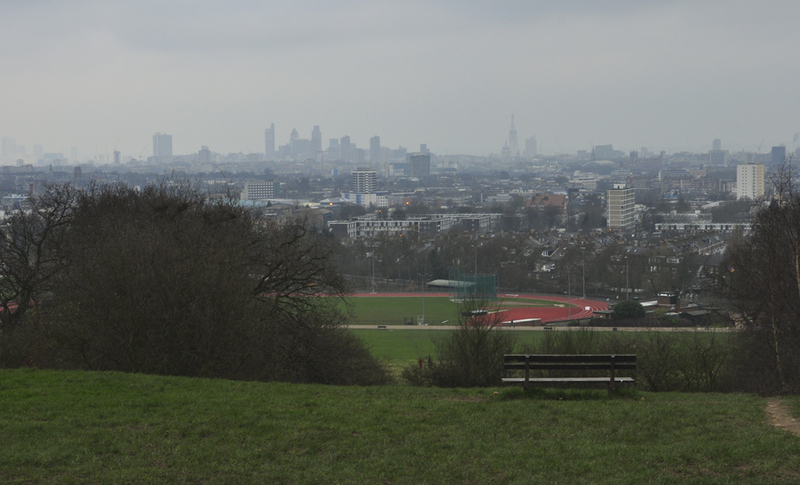 The Heath is one of the highest points in London and has some of the best views of the city. It covers about 790 acres and includes several ponds which makes it a popular place to run, walk, swim and retreat from city life. It is rustic and natural and our favorite park in the city because of this. We walked to the top of Parliament Hill to enjoy the broad view of London, even though the cloudy sky concealed a good part of it. Hmmm. What exactly does a butcher do? This entry was posted in The Sights and tagged Hampstead, Hampstead Heath, the Heath, The Wells Tavern. Bookmark the permalink. This is certainly a lovely area with those narrow streets, specialty shops, etc. 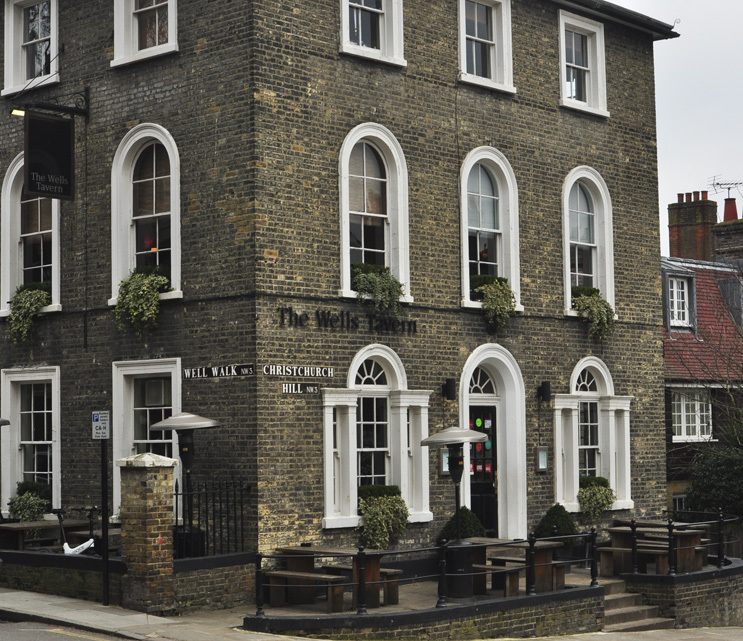 Wells Tavern looks interesting and the views from The Heath are a sight to see. Great pics! Thanks, Mom. The Heath is a great park. First of all I want to know more about these “forbidden acts” at the Wells Tavern. Secondly there better be a picture of Kevin swimming with the ducks in a future blog post. “Forbidden acts” like wearing socks with sandals, chewing with your mouth open and dragging your shoes when you walk were some of the acts going on there, or so I was told. Oooo….this area looks quite posh-I think I would like a flat there:)! 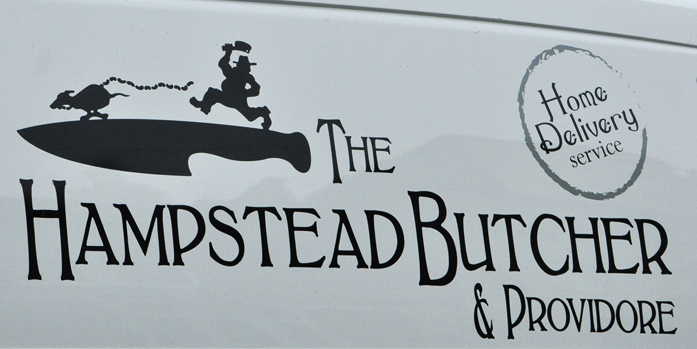 I don’t think I will be using Hampstead Butcher-yikes!